ZIMBABWE is among the few countries in Africa that are experiencing a rise in individual income and corporate tax revenues, which indicates signs of growth as more pay taxes although remaining vulnerable to macro-economic shocks. According to a study done by the African Tax Administration Forum (ATAF) on 21 countries in the continent whose findings were shared here during the on-going media engagement conference, participating countries have shown firm nominal Gross Domestic Product (GDP) growth (increases in production and pricing) with annual growth rates just short of 10 percent. As aggregate production and income (that is nominal GDP) determine tax revenue, most countries surveyed have the potential to increase their tax revenues substantially with exceptions of those with political and economic crisis. According to ATAF, personal income tax index contributes about 22 percent of total tax revenue on average to countries such as Zimbabwe with consumption tax maintaining the lead as the single largest income source contributing average 36 percent. "Above average shares have been recorded in Kenya, Lesotho, Rwanda, Senegal, South Africa, Swaziland and Zimbabwe," says ATAF. The Zimbabwe Revenue Authority's February report confirms the above trend. In the month of February in Zimbabwe the individual tax head contributed $59,77 million to total revenue against a target of $69,41 million. "The revenue head registered a growth of 10,66 percent when compared to the same period in 2017 where $54,01 million was collected. High debt, salary cuts, retrenchments and irregular salary payments by some companies continue to negatively affect the performance of this revenue head," said the tax authority. In the long run, the performance of individual tax in Zimbabwe is, however, expected to improve if investment increases, resulting in expansion in some sectors. 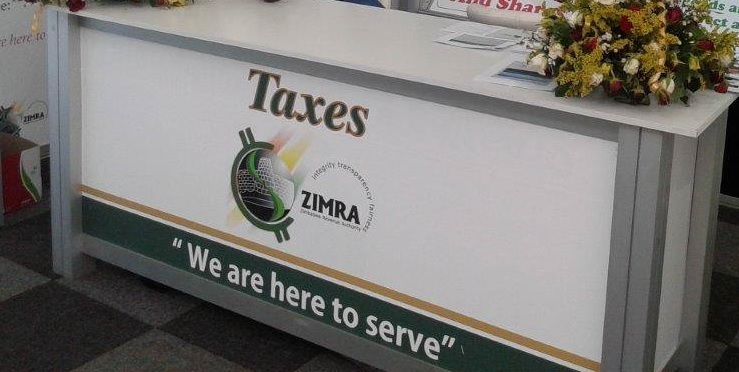 According to Zimra, current debt recovery measures, active monitoring and follow up of filing and payments as well as risk-based audits are being intensified to improve individual tax collections. Similarly company tax performed above expectations during the month, with collections of $27,36 million against a target of $12,42 million, which translates to a positive variance of 120,27 percent. Collections under company tax grew by 18,90 percent when compared to the same period last year where $23,01 million was collected, said Zimra. "Corporate income tax was very volatile, and of all tax revenues it is the one that shows the widest disparities between countries. While it grew by 32 percent in Togo and 21,8 percent in Mozambique, it fell by 11 percent in Nigeria and Liberia," said ATAF. The continental tax administration body also noted that while customs taxes contribute average 17 percent in surveyed countries, it was on a decreasing trend with other revenue heads such as withholding and presumptive taxes making minimal contributions. ATAF resource mobilisation manage Thulani Shongwe challenged governments in Africa to urgently implement measures that address tax compliance resistance challenges and weeding out illicit financial flows that drain up to $80 billion revenue out of Africa annually. Some of the measures include reducing the cost of compliance, implementing corporate transparency measures and strong regulatory systems. Increased attention on domestic resource mobilisation since the global financial crisis of 2008, has given rise to significant increase in scholarly interest in a range of tax related topics spanning from basics of tax administration, the nexus between tax policy and administration, to the implications of global standards setting for developing countries.